Festival co-organizers me, George Winborn and David Barber with this year's special guest speaker Sandor Ellix Katz. 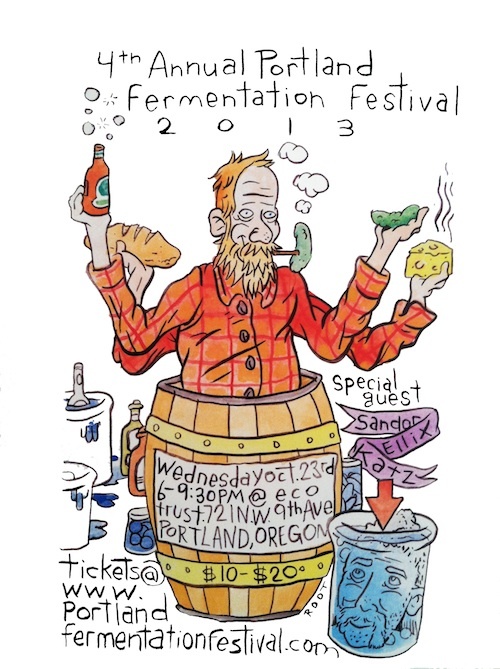 We couldn't be happier about this year's fourth annual Portland Fermentation Festival. 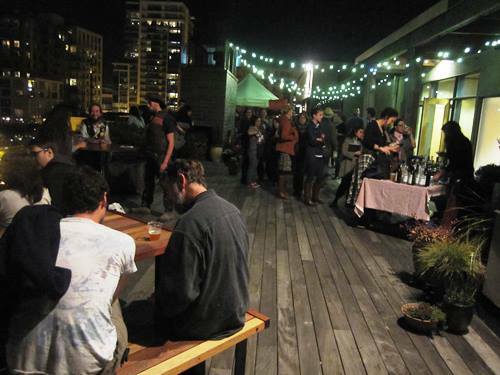 We got Sandor Ellix Katz back as guest speaker, we had more exhibitors sharing fermented foods and recipes than ever, we took the party to another level literally on the rooftop with D.J. 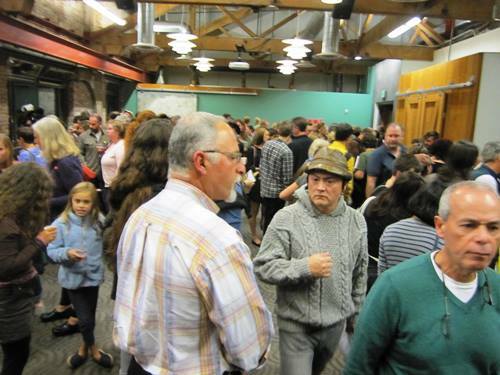 Pickle Barrel, Reverend Nat's Hard Cider and Upright Brewing, we had advance tickets sales and the talk and first tasting sold out and we had demo's on everything from natto to nightshade-free kimchi. It was a stinky good time and thank you so much to everyone who participated and attended! We put Portland Fermentation Festival together every year with a shoestring budget + heaps of volunteered hours and as always we're so grateful that Ecotrust puts up with us every stinking (literally) year. Thank you again Ecotrust! We love you. Thank you to festival sponsor Willamette Week and to this year's poster designer Tim Root as well. I was able to take a good amount of photos at the festival last week so here they are in no particular order. I know that I missed some exhibitors and I may have even mixed up some names and folks. If so please let me know and sorry in advance. Alright, on to the photos. See you at the stink next year! Special guest Sandor Ellix Katz's talk. 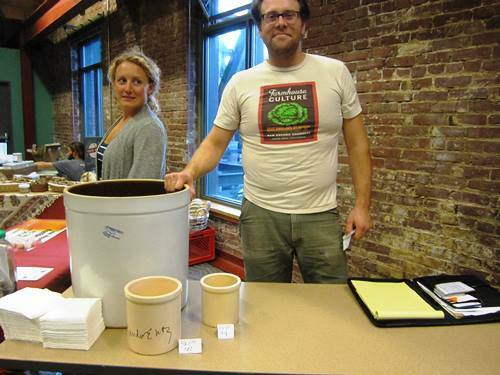 Perennial festival faves the Biwa crew with their housemade miso. So good. Andie Thompson sampling her super tasty liquid non-dairy kefir and ice cream. 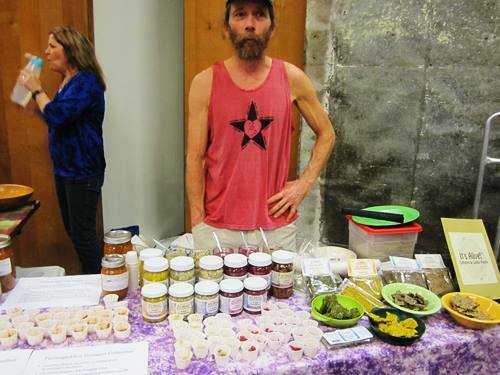 Connie and Brian Shaw made the trek from Hood River with all sorts of delicious Oregon Brineworks ferments. 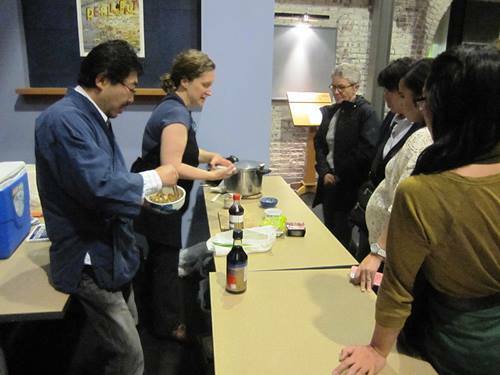 Heidi Nestler's very well attended natto demo. Heidi teaches some great cooking classes check out heidinestler.com. Festival co-organizer Brineyman aka David Barber giving out all sorts of Picklopolis magic. 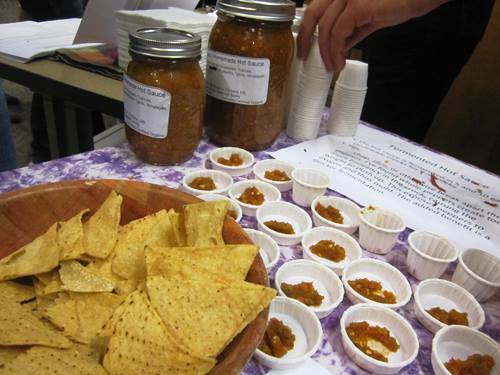 Tressa Yellig's Salt, Fire & Time kvass samples. As tasty as it is pretty. 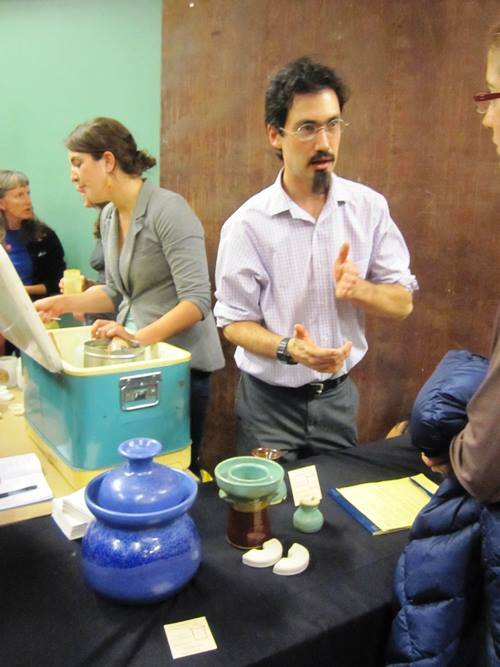 Joshua Unterman's beautiful/functional handmade crocks. 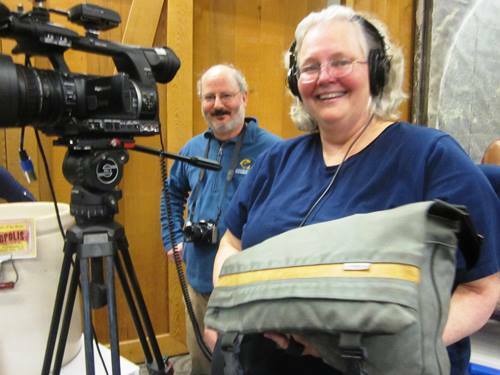 Rebecca and Fred Gerendasy of Cooking Up a Story documenting the stink! Eric Christensen of It's Alive! with his tasty krauts, raw crackers and bars. Thomas Trotter's spicy/tangy/yummy fermented hot sauce. Colin and Kristein Franger's of Blue Bus Kraut brought spicy kraut-chi and tasty straight-up kraut. 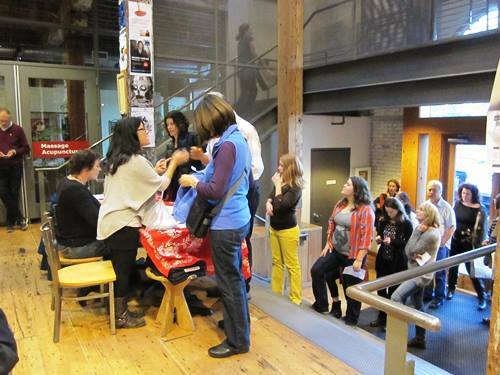 Lost Art Kitchen's Chris Musser's super informative nightshade-free kimchi demo. Check out www.lostartskitchen.com. Sash Sunday's OlyKraut with yummy sea vegetable kraut. 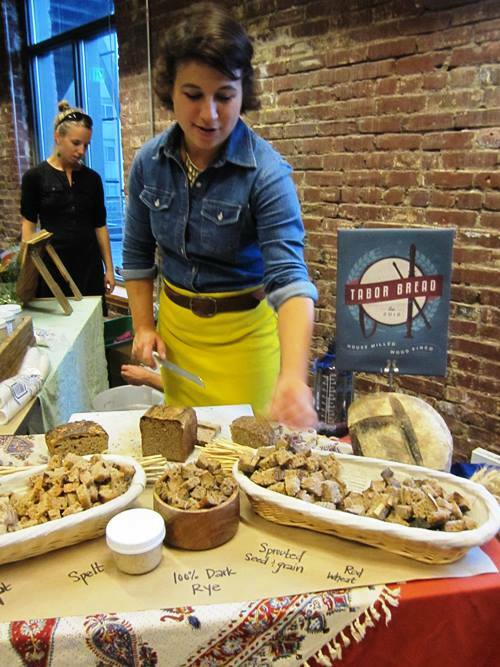 Annie Moss with all sorts of fermenty good Tabor Breads. Jon got Sandor to sign some of his crocks! 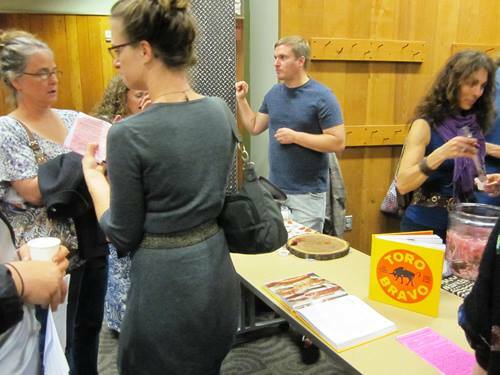 Toro Bravo charcuterie manager Josh Scofield sampling Toro's chorizo with the Toro Bravo Cookbook in tote that I was lucky enough to co-author. The charcuterie chapter was one of my favorites to write. Choi's Kimchi in the house! Sooooo good. Party on the rooftop with DJ Pickle Barrel, Reverend Nat's Hard Cider, Upright Brewing and Bingo Sandwiches. 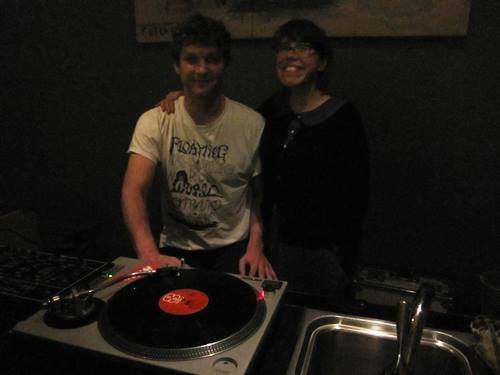 DJ Pickle Barrel and one of Portland Fermentation Festival's best, best friends -- Ecotrust's Lola Milholland. Amanda Englund's Lion Heart Kombucha. Robert Jordan's tasty sourdough bread and pancakes. Coreen Stoli's beautiful porcelain crocks. The dynamic Bitz curtido demo duo. Ivy Stovall's shiso pretty pink pickles. Eva Sipple's yummy Eva's Herbucha. 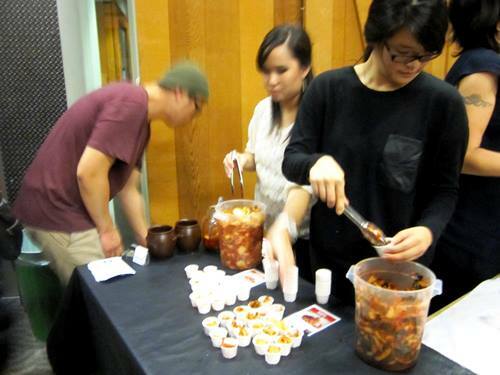 Judge D. Finklea and Lindsay Dekey's fruit kimchi and kombucha. 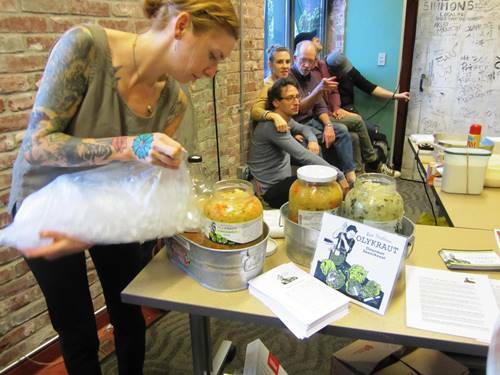 Megan Denton of Able Farms sampled her kraut and kombucha. 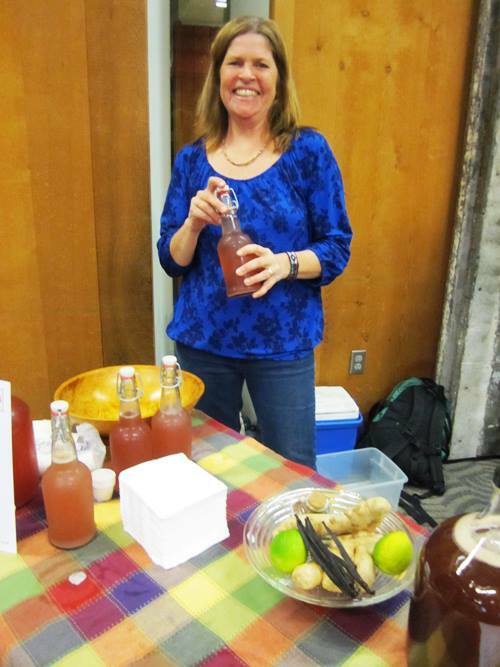 What better way to end this with Lynne Van Dusen's beautiful smile sampling her Vine to Brine lacto-fermented sodas? See you all at the stink next year & thanks for making this one so fantastic! 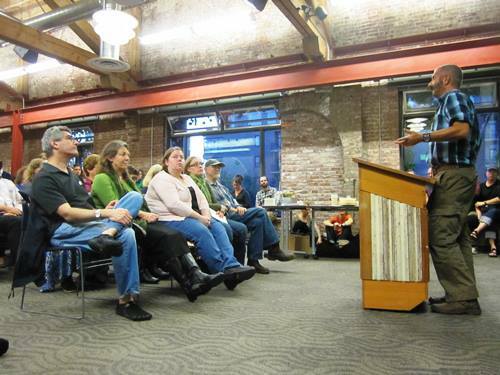 Come to the downtown Powell's for Sandor's book event Wednesday, November 14th at 7:30pm. Comment here for a chance to win a copy of his newest book -- The Art of Fermentation! 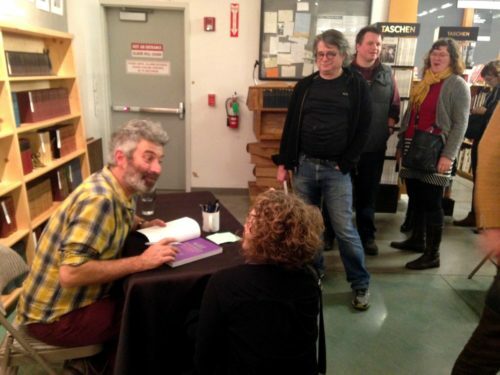 Sandor Ellix Katz at Powell's November 14th and Contest! 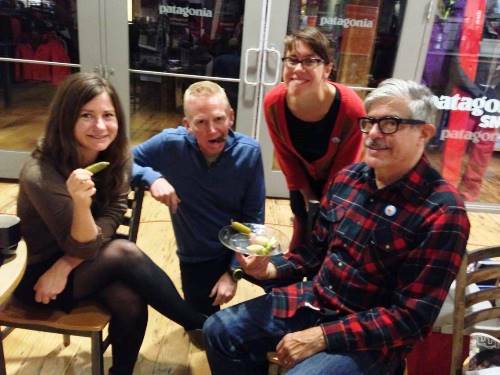 Sandor Ellix Katz aka Sandorkraut is one of my favorite people and so I'm very excited that he's coming back to Portland for an Edible Portland sponsored Powell's Books event for his newest book The Art of Fermentation on Wednesday, November 14th (National Pickle Day!) at 7:30pm at the downtown Powell's. 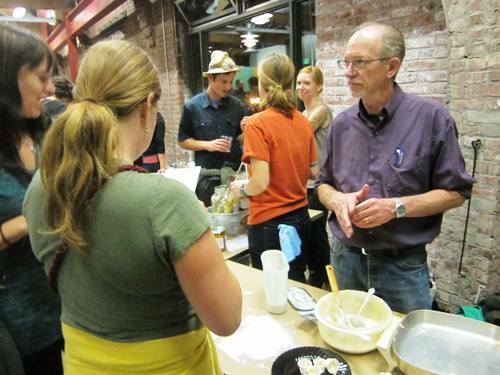 Over the years I've been lucky enough to travel to Nashville to interview Sandor for The Sun Magazine and also invite Sandor to speak along with festival co-organizers at our inaugural Portland Fermentation Festival in 2009. This time around I even get to host Sandor at my home while he's in Portland. Yes! I have so much to be grateful for. Sandor Ellix Katz and me at Short Mountain Sanctuary, a couple hours south of Nashville, in January 2009. Sandor's newest book -- which follows his other two titles: Wild Fermentation and The Revolution Will Not Be Microwaved -- is an in-depth cultural, anthropological and deeply personal look at fermented foods with loads of DIY inspiration and detailed info. on crafting everything from miso and sake to fish sauce and high meat. Chelsea Green -- Sandor's Vermont publishing house extraordinaire -- has sent me a copy of the book to give away here as a promo. for the downtown Powell's event. I'm going to run this contest like I always do. I've choosen a lucky number and that numbered commenter gets the book. I'll bring it to the reading on the 14th to give to you and then you can get it signed by the author himself and hopefully we can get a photo of you with Sandor as well. Here's what I'd like you to comment about for a chance to win -- what's the best fermented food or drink that you've ever had and why? It can be a ferment that you made -- sauerkraut, homemade wine, miso, cheese etc. or it can be something that someone else made or that you bought. I'll start the conversation with my answer -- my homemade fruit wines. So good. 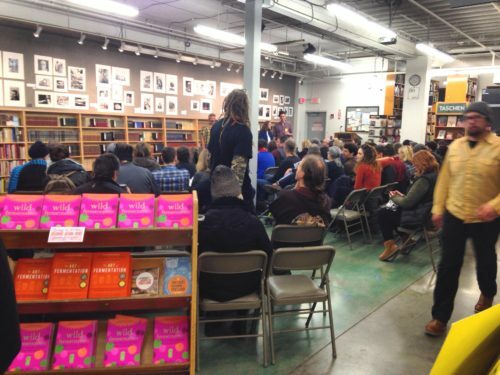 See you at Sandor's book event on the 14th! Meet my hero -- Sandor Ellix Katz. In January 2009 I had the pleasure of flying to Nashville to interview my hero Sandor Ellix Katz for one of my favorite publications The Sun Magazine. It was a dream come true trip and now nearly a year and a half later the interview is in this month's issue! Sandor is an inspiration and he's changed my life in many ways. I got a copy of his first book Wild Fermentation when it came out in 2003 just a few months after moving to Portland, Oregon. In the years since I've reached for that book on my kitchen bookshelf more times than I count. From it I've learned how to make sauerkraut, sour pickles, fruit wine, dandelion wine and much more. It's my kind of book -- lots of back to basics recipes, well researched culinary history and culture, and funny and insightful personal anecdotes. In other words, so much more than a straight-up cookbook. When Sandor's second book came out -- The Revolution Will Not Be Microwaved -- I got my hands on it the week it released. More learning, more inspiration, more discoveries. I've written about Sandor and interviewed him many times and every time I feel all the wiser.